Another email from Mudd to Twitty in May 2011 joked about how “a black woman in New Orleans” received $5,000 from Crimestoppers after her abortion. 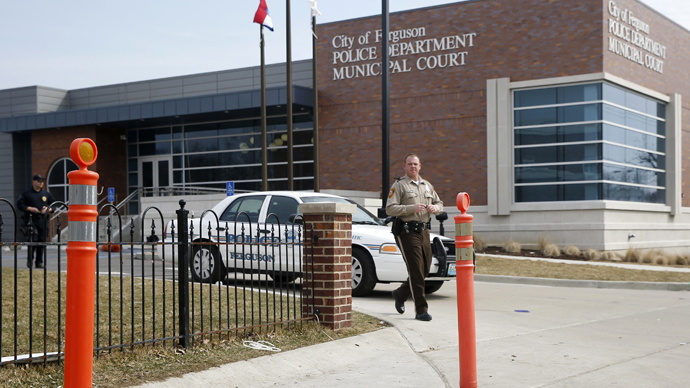 The seven messages were cited in last month’s DOJ report as part of the “pattern and practice” of racial discrimination by Ferguson’s police department and courts against the city’s majority African-American population. It was the culmination of a six-month probe sparked by the August 2014 shooting death of Michael Brown at the hands of Ferguson PD officer Darren Wilson. Some 50,000 emails also reviewed by the DOJ remain unavailable to the public. The St. Louis Post-Dispatch quoted an estimate of $43,750 by the city clerk to redact private information from the emails in compliance with the state’s public record laws. Ferguson’s city attorney, Stephanie Karr, would have to redact an estimated 200 emails an hour, at the hourly rate of $175, plus a deposit and copy fee, the city clerk told the paper. Karr herself was named in the DOJ report for dismissing a traffic ticket issued to Ferguson municipal court judge Ronald Brockmeyer, who has since resigned his position in Ferguson and four other jurisdictions. She dismissed concerns over potential conflicts of interest, saying someone else could redact emails pertaining to her.